Ch. Woebgon’s Bonnie Miss, “Bonnie” shown recovering from a poisoning incident. She suffered total renal (kidney and liver) failure from a sulfa based antibiotic that she was prescribed to her by her veterinarian. For those who don’t know Bonnie’s story, she fully recovered after three hemodialysis treatments and a long stay in the hospital. 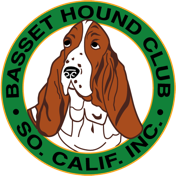 Bonnie lived a good life and was the number thirteen basset hound in the country in breed conformation points and had a very healthy litter with four AKC Champions. I have researched a list of the top 10 poisons to watch out for. Some of the most dangerous dog poisons are foods and medications we take on a daily basis. Depending on how a particular substance affects your dog’s body and how much was ingested or inhaled, pet poisoning symptoms can include gastrointestinal and neurological problems, cardiac and respiratory distress, coma, and even death. Dog poison No. 1: Prescription medications for people. Drugs that might be beneficial or even lifesaving for people can have the opposite effect in pets. And it doesn’t always take a large dose to do major damage. Some of the most common and harmful medications that poison dogs include: Prescription anti-inflammatory and pain medications can cause stomach and intestinal ulcers or kidney failure. Antidepressants can cause vomiting and, in more serious instances, serotonin syndrome -- a dangerous condition that raises temperature, heart rate and blood pressure, and may cause seizures. Blood pressure medications. Dog poison No. 2: Insecticides/Flea and tick products. You may think you’re doing your dog a favor when you apply products marketed to fight fleas and ticks, but thousands of animals are unintentionally poisoned by these products every year. Problems can occur if dogs accidentally ingest these products or if small dogs receive excessive amounts. Dog poison No. 3: Over-the-counter medications. This group contains acetaminophen (Tylenol), ibuprofen and naproxen (Advil, Aleve), as well as herbal and nutraceutical products (fish oil, joint supplements). Dog poison No. 4: Pet medications. Just as we can be sickened or killed by medications intended to help us, cases of pet poisoning by veterinary drugs are not uncommon. Some of the more commonly reported problem medications include painkillers and de-wormers. Webmaster's note: Add antibiotics to this list. Dog poison No. 5: Household products, from cleaners to fire logs. Just as cleaners like bleach can poison people, they are also a leading cause of pet poisoning, resulting in stomach and respiratory tract problems. Not surprisingly, chemicals contained in antifreeze, paint thinner, and chemicals for pools also can act as dog poison. The pet poisoning symptoms they may produce include stomach upset, depression, and chemical burns. Dog poison No. 6: People food. Your canine companion may look so cute as he sits there begging for a bite of your chocolate cake or a chip covered in guacamole, but not giving him what he wants could save his life. Animals have different metabolisms than people. Some foods and beverages that are perfectly safe for people can be dangerous, and sometimes fatal, for dogs. Chocolate. Though not harmful to people, chocolate products contain substances called methylxanthines that can cause vomiting in small doses, and death if ingested in larger quantities. Darker chocolate contains more of these dangerous substances than do white or milk chocolate. The amount of chocolate that could result in death depends on the type of chocolate and the size of the dog. For smaller breeds, just half an ounce of baking chocolate can be fatal, while a larger dog might survive eating 4 ounces to 8 ounces. Coffee and caffeine have similarly dangerous chemicals. Avocado. You might think of them as healthy, but avocados have a substance called persin that can act as a dog poison, causing vomiting and diarrhea. Xylitol. This sweetener is found in many products, including sugar free gum and candy. It causes a rapid drop in blood sugar, resulting in weakness and seizures. Liver failure also has been reported in some dogs. Azaleas, rhododendrons and poinsettias. These pretty flowering plants contain toxins that may cause vomiting, diarrhea, coma, and potentially even death. Tulips and daffodils. The bulbs of these plants may cause serious stomach problems, convulsions, and increased heart rate. If you think your dog has been poisoned, try to stay calm. It is important to act quickly, but rationally. First, gather up any of the potential poison that remains -- this may be helpful to your veterinarian and any outside experts who assist with the case. If your dog has vomited, collect the sample in case your veterinarian needs to see it. Then, try to keep your pet calm and call your veterinarian or if your vet or an emergenct vet are not available the ASPCA Animal Poison Control Center (APCC) at (888) 426-4435. Experts at the APCC are available to answer questions and provide guidance 24 hours a day for a $60 consultation fee. 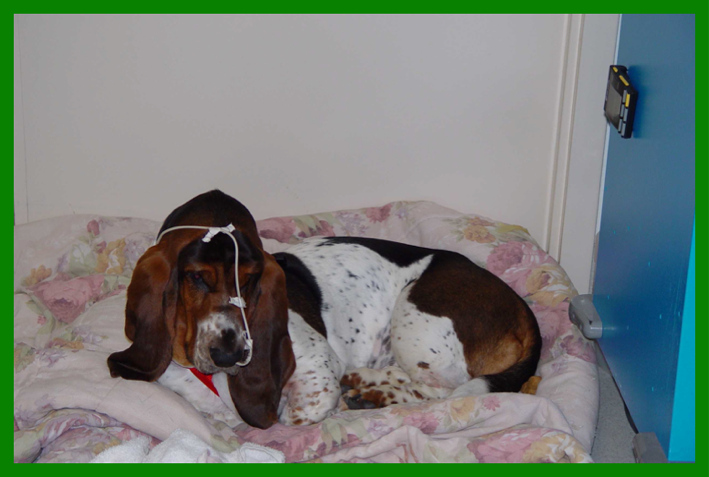 The ASPCA also has a list online of toxic and non-toxic plants. The veterinarians at Pet Poison Helpline have perused their records for 2011, and determined the “Top Ten List” of potential poisons in our homes and yards that were the most commonly reported during 2011. Here is the LINK to their list and a link to their website Pet Poison Helpline. They have a $39 per incident fee. This fee covers the initial consultation as well as all follow-up calls associated with the management of the case. Pet Poison Helpline is a 24-hour animal poison control service available throughout the U.S., Canada, and the Caribbean for pet owners and veterinary professionals who require assistance with treating a potentially poisoned pet. According to the Pet Poison Helpline, "We have the ability to help every poisoned pet, with all types of poisonings, 24 hours a day. Our knowledge and expertise of pet poisons will put your mind at ease when dealing with a potential emergency." PLEASE NOTE: The BHCSC is not, in any way, connected to either the ASPCA or the Pet Poison Hotline. We only offer links to information and their websites as a convenience to our members and guests. It is important to contact your regular veterinarian as quickly as you can in all emergencies if at all possible. Also keep the number of your veterinarian and the closest emergence veternarian somewhere where it can be easily seen in an emergency.